Mariupol, in southern Ukraine awoke last Saturday morning to what must have seemed like World War III. 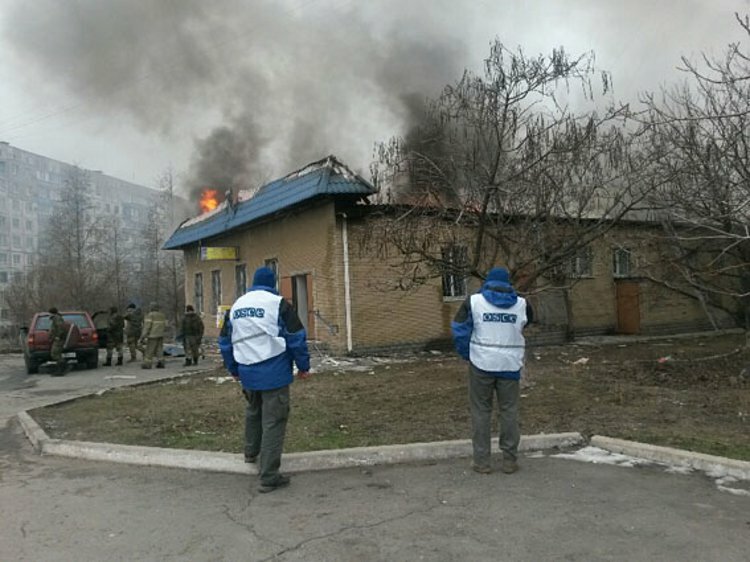 Residents in the eastern Ordzhonikidzevskyi district of the port city came under fire from unseen attackers reigning death and destruction, but from where? Once again western mainstream media, officials, and Kiev’s military shake their collective fists at Novorossiya, and Russia herself. I woke up last Saturday morning early, maybe 5 AM CET, monitored the incoming social media and news RSS as per usual, the first reports from BBC and Reuters seemed curiously assertive as to the perpetrators of the now notorious Grad rocket attacks onto this civilian enclave on the outskirts of the city. I say curious because Pro-Russian separatists were implicated almost immediately, and I do mean almost instantly. The attacks occurred at about 9:15 Kiev time (8:15 CET), and the mainstream of media was not far behind. All those reports have been updated and changed now, time stamp wise and etc., but if memory serves me they came just after the rocket barrage. This report focuses on the series of events that took place for good reason. Seldom to perfect circumstances play out in any news cycle and journalist knows this. Except that is, for what seems an orchestrated event like Mariupol. Here is a brief rundown of the Kiev line on this tragedy. 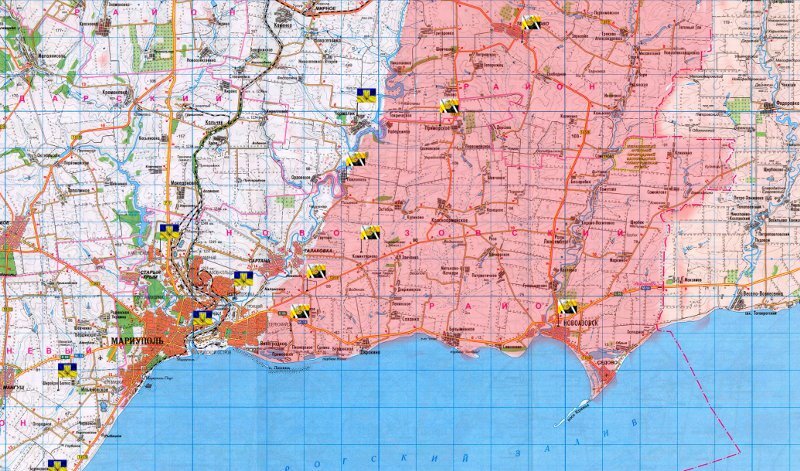 7 :15 a.m. GMT: A grad attack onto the extreme easterly neighborhoods of Mariupol takes place. 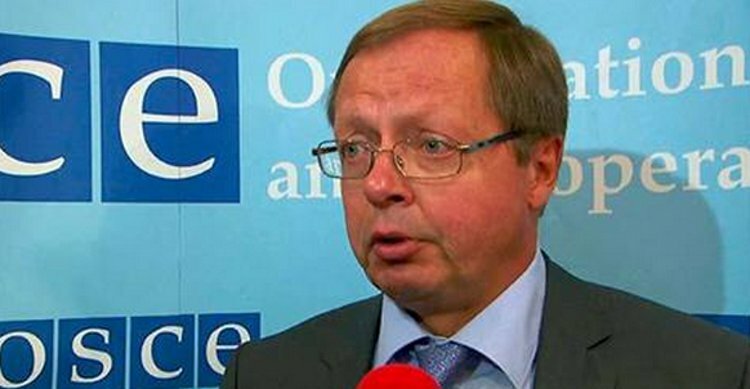 11:30 a.m. GMT (est) Sometime around 2:00 p.m. Kiev time the OSCE releases their damning report. Clearly the Russian delegates to OSCE were not in entirely in the loop on this one. Russia’s representation admonishes the organization as I do, for the rush to determine blame in this case. In fact, Kelin goes on to blow the whistle on observers in Mariupol, saying the operatives failed to use instruments or techniques consistgent with such investigations. Apparently, the result was hurried, my words, not his. What’s even more disturbing for me is the “coincidence” that put more reporters and OSCE observers in Mariupol than anywhere near Donetsk, and the Donbass. With MH17 as a “hazardous” backdrop preventing solving that crime, the imminent overthrow of Mariupol would seem to be as dangerous a place to do the business of looking. In the meantime the EU has rushed too, to extend sanctions on Russia based on these latest “stories” from Kiev. All tongue in cheek cynicism aside, today the rhetoric has been ratcheted up to a sort of fever pitch. This tweet by the Canadian Joint Delegation @CanadaNATO is bombastic in the extreme if you follow the link. What the reader will find interesting here is the author underneath the anti-Russia context of the Canadian tweet. Maksym Bugriy is a fellow with the Jamestown Foundation in Washington D.C., an institution founded in the early 1980w to support Soviet dissidents. 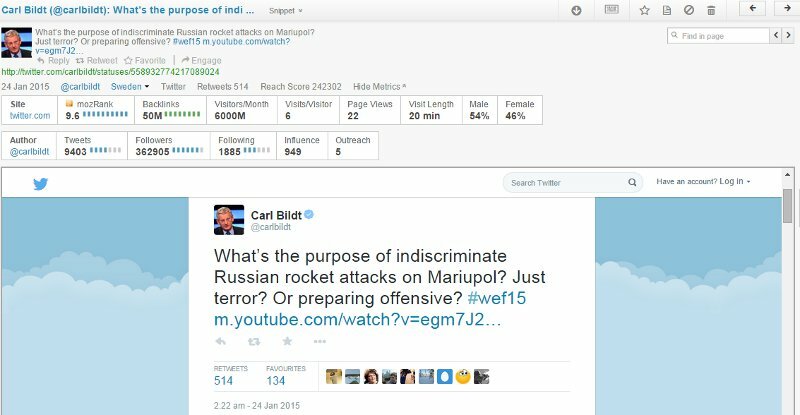 The long and short of this man’s involvement in the Mariupol story is, he’s essentially a sort of “mini me” or wannabe of Dr. Zbigniew Brzezinski, former National Security Advisor to U.S. President Jimmy Carter. Brezezinski was one of a string of Jamestown Foundations directors across the spectrum of US Presidents these last decades. As we see now, the situation has regressed to the point where Putin and Russia exerting any singular policy whatever, no matter the consequences for Russian speakers, it equals a reset of Cold War ideals. If the facts be known, it also seems clear US hegemony was always the goal of NATO, all these wars, as illustrated by the US-NATO military bases that virtually surround Russia and most of Asia. As is the case with any report on recent world conflict zones, attempting to encapsulate what’s a seeming gigantic can of worms, it’s difficult for this writer. There’s simply too much information and data to be gleaned. One thing I can say though, almost every breadcrumb of real fact one grasps, it’s connected to a trail that leads directly to the US State Department and to a focus point like Kiev. Anyone who has monitored these Ukraine events cannot help but note operators in the channels like Ambassador Geoffrey Pyatt, who tweeted right on top of the rocket attack and all day long with Anti-Russia tweets. Finally, the relentless escalation of rhetorical and unsubstantiated blame we see parroted from all the western channels, it is a foreboding. A case in point this morning is revealed in this RT report that hacktivist group CyberBerkut in Ukraine has just ferreted out classified documents from Kiev’s Judge Advocate General’s computer. According to these documents, the Ukraine military is in a state of utter disarray. Mass desertions, cover ups to hide the true number of casualties, and what the group terms “prowling deserters and blood-thirsty psychopaths dressed up in Ukrainian uniforms” roam the countryside of that embattled country. In short, what people in the west hear is utter lies and deceit from the Washington backed junta. Given the steadfast cohesion of EU and American interests in all this, Mariupol and the other Ukraine cities to the south and east of that embattled country, their only salvation my yet be a real Russian invasion. This is my long view. Clearly, the entire reigning leadership outside of Greece in the EU, it’s been highjacked by someone or some thing. One would hope Washington does not alone possess such leverage. Forgoing this, let right thinking individuals root for the soldiers of Novorossiya to make all points mute ones, with a victory to succeed from this bitter union.